This column provides “Habeas Hints” to prisoners who are considering or handling habeas corpus petitions as their own attorneys (“in pro per”). The focus of the column is on “AEDPA,” the federal habeas corpus law, which now governs habeas corpus practice in courts throughout the United States. Robert McCoy was charged with murdering his estranged wife’s family, and the prosecution sought the death penalty. Despite overwhelming evidence against him, McCoy insisted from the beginning that he was totally innocent, testified in his own defense, asserted an absurd alibi, and blamed a phantom drug-trafficking ring for everything. His lawyer decided that the only way to avoid a death verdict was for McCoy to concede that he was guilty of murder and to argue that McCoy’s “diminished capacity” made him incapable of murder. The strategy was doomed, however, because diminished capacity was legally unavailable as a defense unless the defendant pleaded not guilty by reason of insanity, which he hadn’t done. So instructed, the jury returned three death verdicts. Represented by new counsel on habeas corpus, McCoy argued for a new trial on the basis that it is unconstitutional for a defense attorney to concede guilt over the express objection of the defendant. SCOTUS upheld the claim after the lower court had denied it on the basis that the lawyer had the authority to make the “strategic” decision to concede his client’s guilt in a quest for mercy from the jury. Habeas Hint: SCOTUS equated the client’s right to maintain innocence with other rights that are so fundamental that only the defendant personally can waive them, e.g., the right to plead guilty or to testify on one’s own behalf. But what happens when the lawyer wants to make a strategic concession to something less than outright guilt—for example, admitting in the face of damning forensic evidence that the defendant was present at the scene of a shooting but arguing that she/he wasn’t the actual shooter? Unlike the flawed defense argument in McCoy, this is a totally legitimate trial tactic, but still one that could conceivably be challenged under McCoy. Therefore, lawyers who are conceding any aspect of guilt should get the defendant to clearly state on the record that she/he approves of that strategy, and if the lawyer doesn’t do that and a conviction results, the client should consider seeking habeas corpus relief based on McCoy. Carlos Manuel Ayestas was convicted of murder and sentenced to death. His conviction was affirmed on appeal and then on habeas, where new counsel argued ineffective assistance of counsel (“IAC”) in general but did not rely on the failure to investigate petitioner’s mental health problems and drug abuse, which arguably could have gotten the jury to spare Ayestas the death penalty. A fourth set of attorneys raised the latter claim for the first time in federal court and asked the court for money to pursue the claim, relying on a federal statute that allows the court to authorize expenses for experts and investigators where an indigent defendant is seeking to vacate a death sentence. Habeas Hint: Ayestas is limited on its face to a federal statute (18 USC § 3599), which only applies to funding for a federal habeas corpus petition attacking a death sentence. But we see no good reason why the Ayestas reasoning can’t be applied across the board to funding requests for state habeas corpus petitions. For example, as in most states, California provides for appointed counsel on direct appeal, and the guidelines for payment of counsel expressly allow for the lawyer to spend time preparing and arguing a habeas corpus petition as a “companion” to the appeal. However, many judges won’t authorize the funding “reasonably necessary” to investigate those same claims. As we see it, that’s contrary to Ayestas. Similarly, if the appointed lawyer on direct appeal doesn’t seek habeas corpus relief or the funding for it in a case where there are facts outside the record that might support such a claim, new counsel should be able to do so, using Ayestas to protect the claim against a procedural default ruling. A Superior Court in Georgia denied an IAC claim on the basis that the lawyer’s performance was not deficient and had not prejudiced Marion Wilson. On review, the Georgia Supreme Court summarily denied relief and refused to issue the required COA. Wilson then filed for federal habeas corpus relief in U.S. District Court, where the judge “looked through” to the Superior Court’s analysis and adopted some of that reasoning in denying the claim. The case then went to the 11th Circuit, which was divided 6 to 5 over whether the District Court’s “look-through” approach was correct or whether that court should instead have used the methodology of Harrington v. Richter, 562 U.S. 86 (2011), which allows the federal court to rely on any arguments at all that “could have supported the decision.” SCOTUS upheld the District Court’s methodology, holding that Harrington only applies where there is no reasoned lower court decision to look through. Habeas Hint: A habeas petitioner is better off with Wilson’s look-through methodology than with Harrington’s “any-reason-will-do” approach, because it is easier to make a focused attack on the reasoning of a lower court decision than it is to anticipate and refute any reason a federal judge can think of to uphold the state’s denial of relief. Therefore, in jurisdictions like California, which allow a state habeas corpus petitioner to choose between (a) starting out in the lower court and going up the ladder versus (b) filing directly in the California Supreme Court (“CSC”), Wilson favors (a) because a Superior Court judge who denies a habeas claim must state specific reasons for the denial; whereas, the CSC is not required to give any reasons and rarely does. Thus, at least in cases where there hasn’t been a delay of more than 12 and less than 15 months in filing a habeas petition (wherein a Superior Court judge is far more likely to find “untimeliness” than is the CSC), a California state habeas corpus petitioner should file first in the Superior Court, where a reasoned decision is required, and if denied there, challenge that denial up the ladder to the CSC and then on to federal court. Fourth Amendment issues generally cannot be raised on federal habeas corpus unless you were “deprived the opportunity for a full and fair hearing on the issue in state court.” Stone v. Powell 428 U.S. 465 (1976). The only other way to raise them on federal habeas is through claims of ineffective assistance of trial or appellate counsel if they failed to raise the meritorious Fourth Amendment suppression issues at trial or on appeal. But, what if your trial and appellate attorneys did raise the 4th Amendment issue below and lost? In those cases, you should seriously consider filing a petition for certiorari in the United States Supreme Court. Although the odds of certiorari being granted are slim, it is better than forever losing your right to litigate the 4th Amendment violation in your case. In fact, you may even make new law to help others whose persons and property are being unreasonably searched and seized. The following cases did just that in 2017-2018! This case involves the “automobile exception” to the search warrant requirement. There is a diminished expectation of privacy in readily mobile automobiles, which permits officers to dispense with obtaining a warrant before conducting a search. However, in order to conduct a lawful search, the government still needs probable cause to believe that the vehicle contains evidence of a crime or consent to search. Here, Terrance Byrd was driving a rental car he borrowed from his girlfriend. Byrd was pulled over by police who asked for consent to search but also told Byrd he could not deny consent because his name was not on the rental car contract. They searched the car, finding contraband in the trunk. The Supreme Court remanded the case to the trial court, holding that despite not being an authorized party to the car rental agreement, Byrd still had a constitutionally protected, reasonable expectation of privacy in the car, which gave him authority to deny consent to search and standing to later contest the search. The Court held that because Byrd’s girlfriend lent him the car for his exclusive use, he had an actual subjective expectation of privacy in the car, which society would recognize as reasonable. Importantly, because Byrd failed to raise the argument in the lower courts, the Court declined to consider Byrd’s argument that because he had been granted temporary possession of the car, he had a “property interest” in the car. This in itself was a viable 4th Amendment theory because much of the Supreme Court’s traditional understanding of the 4th Amendment has been property-based. Habeas Hint: (1) Whether it’s a hotel room, a rental car, or a cell phone, your 4th Amendment rights turn on whether you have an expectation of privacy that society would accept as objectively reasonable and (2) raise every legitimate 4th Amendment theory in the lower courts because you never know what will catch the eye of the Supreme Court. Police used the “automobile exception” to justify their search of a covered motorcycle parked in the driveway of Ryan Collins’ girlfriend’s house. An officer who suspected Collins possessed a stolen motorcycle that was involved in recent traffic incidents went to the home and saw a tarp covering an object at the top of the driveway next to the home. The officer walked up the driveway, lifted the tarp, identified it as the suspected motorcycle, walked back to his car, and waited for Collins. The Supreme Court refused to extend the “automobile exception” to vehicles parked at home and remanded the case to the trial court holding that regardless of any “probable cause” the officer had which could have justified the search, a search warrant was required because it was parked on the “curtilage” of a home. The Supreme Court has previously held that the area immediately surrounding a house where residents expect privacy, e.g., a porch, a fenced yard, a garage, etc., is considered part of the home as its “curtilage.” Thus, the same Fourth Amendment protection, i.e., to be safe from unreasonable searches and seizures, that requires a search warrant to search a home also applies to its curtilage. Habeas Hint: If law enforcement tries to “extend” an exception to the warrant requirement to a new area, it may be worth pursuing your case in the United States Supreme Court. The government compelled a wireless carrier to turn over 127 days of Timothy Carpenter’s cell phone site location information (“CSLI”) and admitted some of that evidence at trial showing Carpenter’s movements. Carpenter’s motion to suppress was denied. Carpenter unsuccessfully moved for a new trial, appealed, and lost. SCOTUS granted his petition for writ of certiorari and held that individuals have a reasonable expectation of privacy in their cell phone location data. Thus, the government cannot retrieve such information from a wireless carrier without probable cause and a search warrant. Habeas Hint: This is a very narrow ruling and makes a point of holding that cell phone location data goes beyond GPS and conventional surveillance techniques such as security cameras. The opinion also does not express a view on real time “CSLI,” “tower dumps” (a download of information on all the devices connected to particular cell site during a particular interval), or other business records that might incidentally reveal location data. 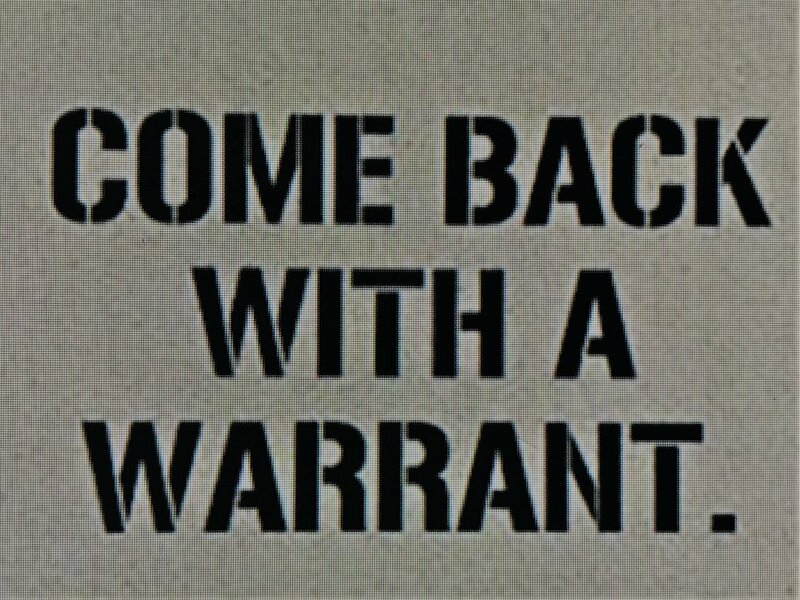 The overriding principle for your purposes is that if the information is specific to you and you have a subjective reasonable expectation of privacy in it that society would recognize, make sure the government got a warrant. Law partners Kent A. Russell and Tara Hoveland specialize in habeas corpus. Kent has practiced criminal law for over 45 years, has consistently received Martindale-Hubbel’s highest rating for excellence and legal ethics, and is the author of the California Habeas Handbook 2.0, which thoroughly explains state and federal habeas corpus, parole, and other post-conviction remedies. Tara, who has 25+ years of experience and is a certified specialist in appellate law, is a contributing editor for the Handbook and is admitted in both CA and AZ. To buy the Handbook, see habeashandbook.com – or contact the office by mail, 3169 Washington Street, San Francisco, CA 94115, or by phone (415) 563-8640.